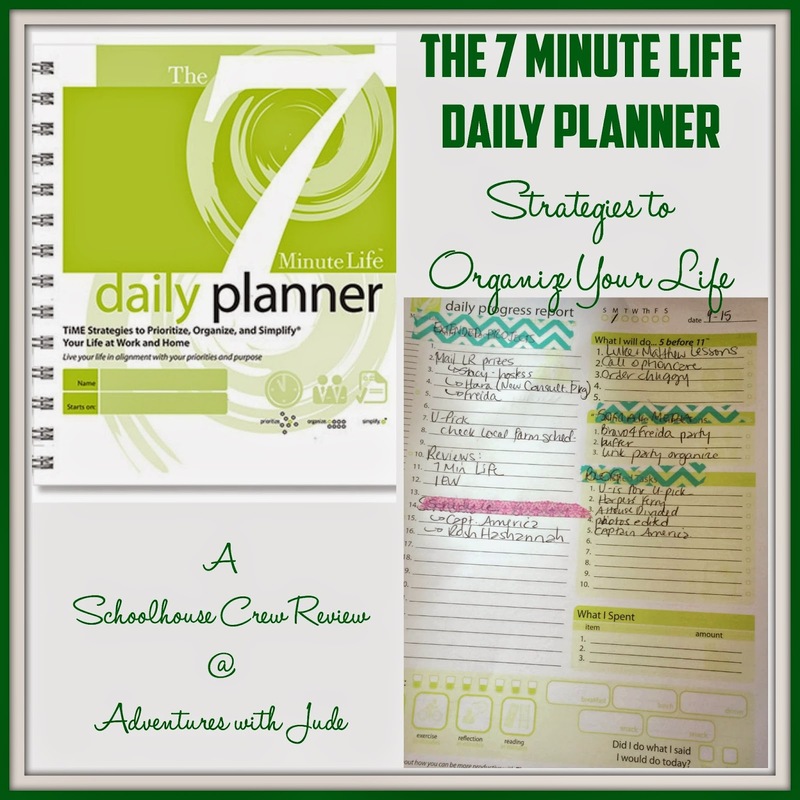 The spiral bound 270 page printed The 7 Minute Life Daily Planner is a more than just a dayplanner. 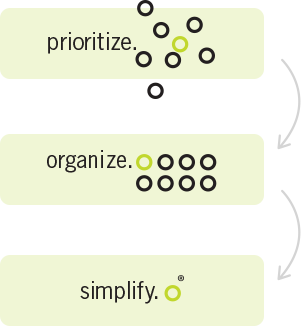 Its premise: prioritize, organize, simplify. Prioritize your goals, organize your tasks, and live a more simplified - less scattered - life. The book itself is divided into several broad categories: determining your goals (both "life goals" and short term ones to reach in the next 90 days) and identifying how to reach them, running to-do lists divided by type (work, home), and calendars. The largest section of the book is the "Daily Progress Report" that helps you plan your day. With my new planner in hand, I was ready to take back control of my life, seven minutes at a time. 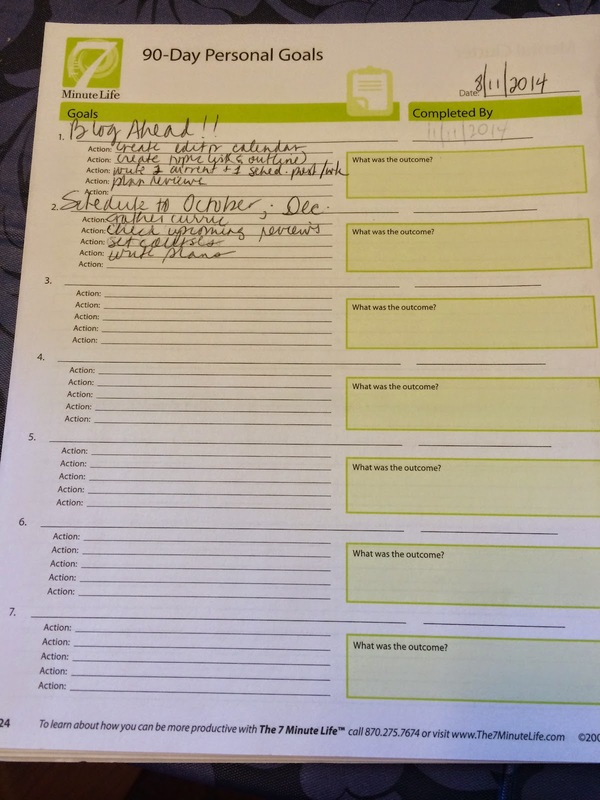 I started with the video introduction to using the planner (about a half hour total) and then started in on my book. Writing information for the front sections took me a long time. Ultimately, I left a lot of it blank. I asked myself, "What's my long term goal?" I suppose I should be embarrassed to say "Survive to tomorrow." I would like to get out of "survival" mode, but I'm not in a season of my life where I can focus on anything much beyond that. 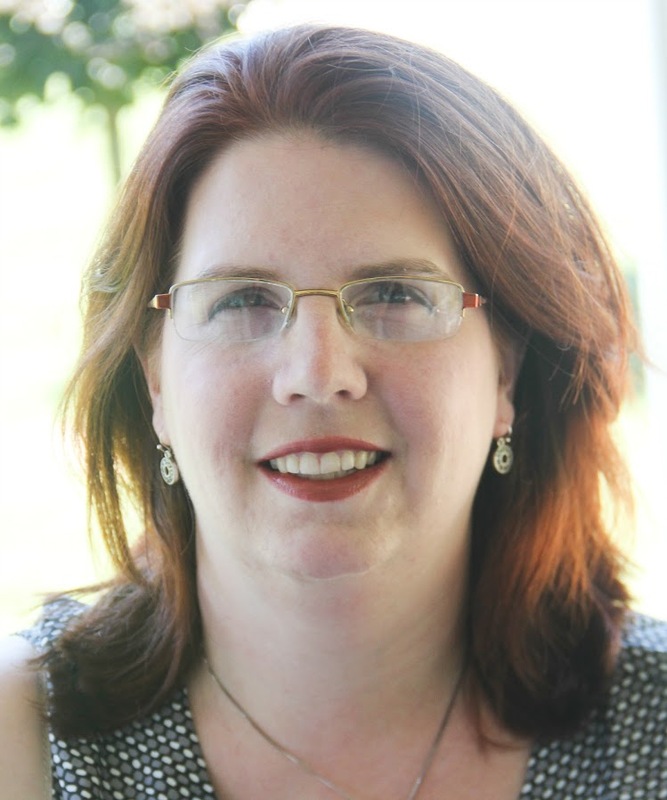 With doctors, therapists, and homeschooling, I don't have time to really focus on "me." I have hobbies that I indulge - for example, I like photography, so fill that need by taking pictures for blogging, but I'm not in a position to create any long-term goals for that. My independent consultant business is purposely casual business; I don't have the time and resources to make it more than a very part time, fill-in venture. This planner area feels more designed for the up-and-coming corporate executive, not a homeschooling mom. I had higher hopes for the Daily Progress Report. This is the "officially just seven minutes" part. At the end of each day, you are supposed to spend seven minutes planning tomorrow. Rather than a blank piece of paper to write a to-do list on, this two-page spread is divided into categories. The core of the 7 Minute Life is this: spend seven minutes organizing and prioritizing, and then micro-prioritize five tasks into the 5 before 11- five tasks that you will tackle first thing in the morning, before life takes over. The ADHD side of my personality liked the concept of category boxes, grouping like with like, so I wasn't searching all over two pages. The Type A side of my personality hated the headings on the boxes - they didn't really fit my life. The ADHD side of my personality didn't like not having the boxes labeled correctly, because then I had to try to remember why those tasks were grouped together. The Type A side didn't like not remembering. Enter some washi tape and a pen, and voila! I had better categories that fit my life. Except doing this *every single day* got old really quickly. It also doubled the time I needed to plan each day. "Fifteen minutes a day" doesn't sound like a lot - but it's twice what I had signed up for. (It also took up a lot of tape -- tape that I often had to find again each night because somebody borrowed it during the day.) I tried just writing the "new" topics in the headings, but it was too visually cluttered and overwhelming for me. 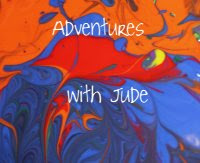 (I can't imagine where Jude gets his sensory issues from...) The tasks - appointments, voice mails to return, contact lists, etc. - were well suited to a business perspective, but I found as a homemaker and caregiver, they just didn't mesh well with my life. I also was frustrated that the planner only lasts about 90 days. I completely understand that it would significantly increase the size of the book if it was an annual planner and approach "Great American Novel" proportions, but it felt like it would be a waste to have to purchase a new book every three months - a waste of money because you'd be paying for the same 20 page "introduction to the program" section, and of time because having to re-write the annual and monthly calendars. 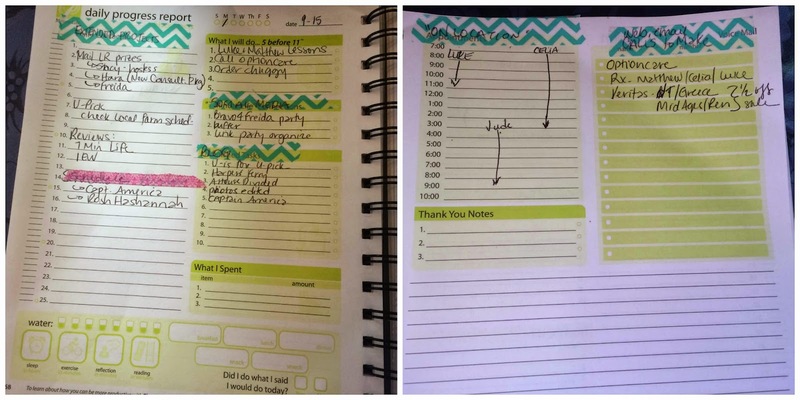 I think a ring bound, refillable planner would make this more appealing, because it would just be a matter of switching out the exhausted sheets (tasks, progress reports, etc.) for fresh ones. My current dayplanner binder is going on five years old; I just swap out the completed year's calendar for the new year, add more blank pages for notes, etc. Each 7 Minute Life Daily Planner costs $24.95; I can't justify spending $100 each year on a planner. I will concede that a "complete" new planner binder like mine is around $100 for the binder and a year's worth of inserts, but I spend less than $25 annually for refills. I loved the concept of the 7 Minute Planner, and there are a few ideas that I think I will continue to use in my daily life, like the "do this first" 5 before 11 sublist and a waterglass tally (because seeing it in front of me did remindme to drink more). It does have me contemplating some life goals; I'm not ready to do any planning, but am taking note of things I actually enjoy doing and might want to consider setting goals in those areas. I wanted this to really work for me, but unfortunately, this flibbertigibbet is still a problem to solve. Thank you for sharing honest insights into this planner. Many of the concerns I had while looking at the planner seem to have been realized in your use of it. I appreciate knowing how this worked for a homeschooling mom, rather than an executive business person.